OPENonline, a leading provider of employment background screening, drug and health screening, and investigative services, today announced a partnership with iCIMS, Inc., the leading provider of Software-as-a-Service (SaaS) talent acquisition software solutions for growing businesses. The strategic partnership will streamline the recruitment and employment background check process to save time and financial resources for HR professionals currently using both OPENonline and iCIMS’ flagship product, the iCIMS Talent Platform. With an internal, U.S. based, highly-trained software development team, OPENonline is able to quickly and easily customize software solutions to meet specific client’s needs. The secure integration expedites the screening process by allowing HR professionals to directly send candidate information from the iCIMS Talent Platform to OPENonline once they deem a candidate qualified for a position. From there, OPENonline conducts a thorough, FCRA-compliant background check and sends results directly back to the user’s iCIMS account, all with a click of a button. 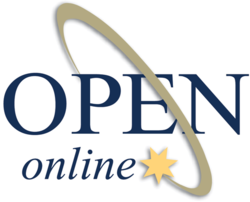 Accredited by the NAPBS® Background Screening Credentialing Council, OPENonline is a leading provider of background screening and investigative solutions. OPENonline offers a broad range of employment screening, drug screening and employment eligibility verification services, including SelectHire®, a one stop solution for employment screening. The company is dedicated to helping customers save time and money by providing background information that is current, accurate and compliant with exceptional customer service. Each of OPENonline’s Safe Hiring Background Specialists are U.S. –based, FCRA certified and compliant with state and federal laws. For more information, visit http://www.OPENonline.com or call 1-888-381-5656.
iCIMS, a leading provider of innovative Software-as-a-Service (SaaS) talent acquisition solutions, is an Inc. 500 and Software Satisfaction honoree focused on solving corporate business issues through the implementation of easy-to-use, scalable solutions that are backed by award-winning customer service. iCIMS' Talent Platform, the industry's premier candidate management solution, enables organizations to manage their entire talent acquisition lifecycle from sourcing, to recruiting, to onboarding all within a single web-based application. With more than 1,500 clients worldwide, iCIMS is one of the largest and fastest-growing talent acquisition system providers with offices in North America, UK, and China. To learn more about how iCIMS can help your organization, visit http://www.icims.com or view a free online demo of the iCIMS Talent Platform.